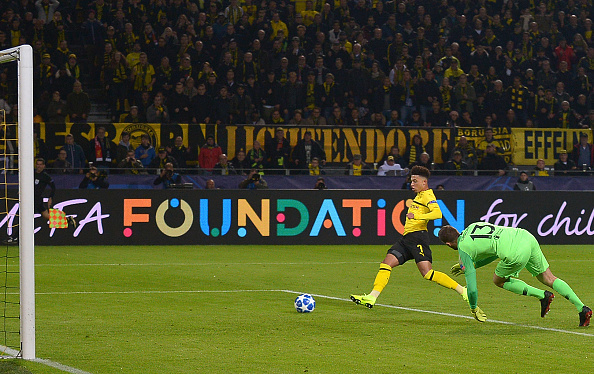 Dortmund winger Jadon Sancho scored his first Champions League goal as Borussia Dortmund thrashed Atletico Madrid 4-0 at Signal Iduna Park. The Winger came off the bench late in the match to give home Dortmund’s third of the night and seal all three points against a surprisingly fallible Diego Simeone team. It was Atletico Madrid biggest defeat under the Argentine, after Raphael Guerreiro added another late goal to give Dortmund a deserving 4-0 win.